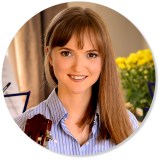 Hi, I’m Inga Hope, the founder of Gentle Guitar™. Welcome to the affiliate program! If you have any questions, don’t hesitate to contact me at ingahope@gmail.com. I’ve put together a 5-step guide (seen on the left) to help you get started. I’ll also be emailing you to see how you’re doing and to offer guidance and suggestions. So be sure to add my email to your contacts so we can keep in touch! You are not required to do any of the steps I suggest in the Affiliate Guide, but keep in mind that for every new signup you refer you get $50. If 5 of your referrals sign up for lessons, that’s $250 that you could make with one well-written email or a couple of Facebook posts! This Affiliate Guide is here to help you start earning commission fast!